I am proud and excited to announce that my first professionally made DVD is now complete and on sale. You can order it online using your Visa or Mastercard. The DVD is titled Fun With Qigong: Five Flows Set. I worked on it for six months; first with preparation, writing, practicing the set and developing a script. Then came the filming, editing and putting the DVD cover package together. We recorded it in my front yard, in front of the Japanese maple garden. Bob Ridgley of Binary Recording Studio both filmed and edited the DVD. Bob has been fun to work with as he is easygoing, explains things well, and is extremely competent with his craft. The marketing consultant and project manager Lisa Papp has also been a huge help in this complicated treading of a new path for me. Gary Stephens of RocketRom.com in Bellingham created the DVD cover and is making the copies. In the Fun With Qigong: Five Flows Set DVD, I teach a 12-exercise set of gentle healing movements. The exercises are designed to teach important principles about health and healing. Practicing this Qigong both shifts you in the present and gives you tools for a stronger, more vibrant future. Five Flows Qigong feels good and is fun to do. Fun With Qigong: Five Flows Set is the first of five planned DVD’s in this series. 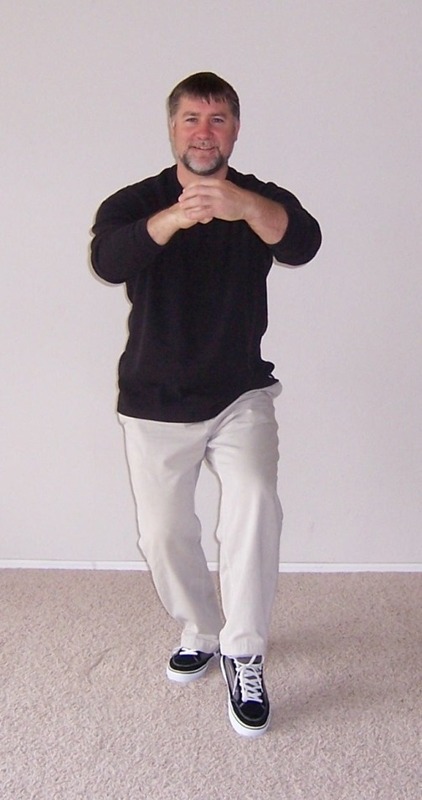 Welcome to my blog about Qigong (also often spelled Chi Kung.) This is my first blog, and my first post. In the coming weeks, months, and years I will use this blogging form and forum to share many ideas and exercises about health and healing. The chief focus and medium for writing about living the good life will be through Qigong. Qigong, as I will write about here, is the art of gentle, energetic exercise leading to optimal health and happiness. I have been studying and practicing this amazing and enjoyable movement art on a daily basis since 1994. (Well, almost daily. I have missed a few days here and there.) I have found Qigong to be a rich field of exploration, one of many rewards, many treasures to discover, uncover and shine up. Over the years I have written and printed many papers on Qigong for my students, clients, and my own use. I have watched hundreds of videos, and digested hundreds of books and articles about Qigong and related arts. I have written hundreds of thousands of words in my journals about health, healing, and Qigong. I’ve been learning, collecting, practicing, refining, considering. I’ve saved up a lot of information and ideas and I am excited that I am finally going to begin sharing my thoughts to a wider audience.